The Schedel Arboretum and Gardens is a well-preserved botanical garden and arboretum on the bank of a river in Elmore, Ohio in the United States. It first opened to the public in 1991. The site is located at a bend in the Portage River; about half the site is upland, with the remainder lowland. There is a sharp drop between the two, and this split character allows for a variety of plantings. 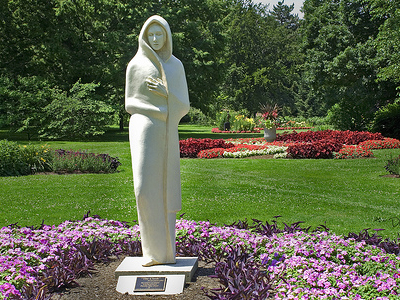 There are permanent sculpture installations among the plantings, and in addition the Foundation hosts rotating exhibits of sculptures and other artistic works. A Beautiful place to visit. 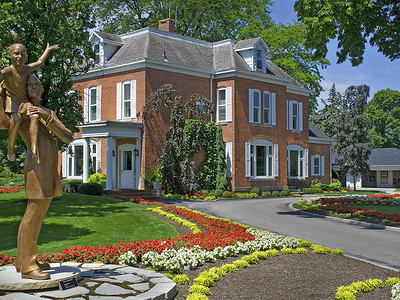 Schedel Arboretum and Gardens are located at 19255 West Portage River South Road, Elmore, Ohio 43416. The gardens are open for "preview" during selected dates in April, and are open to the public from May through October. An admission fee is charged. You may also become a member. A reception center on the site is offered to the public for events such as weddings and large receptions. This large center also houses a gift shop, offices, gallery and more. This opened in 2008. 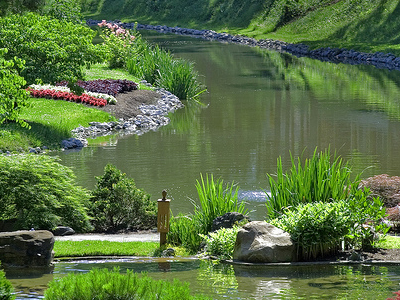 Here's the our members favorite photos of "Gardens in Toledo". Upload your photo of Schedel Arboretum & Gardens!